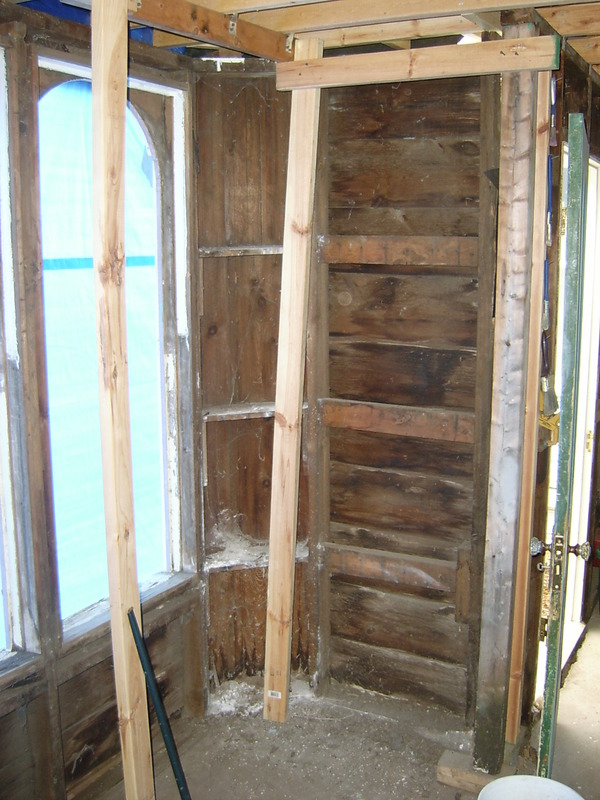 Inside area of the curved wall with all of the bead board and window trim work removed. 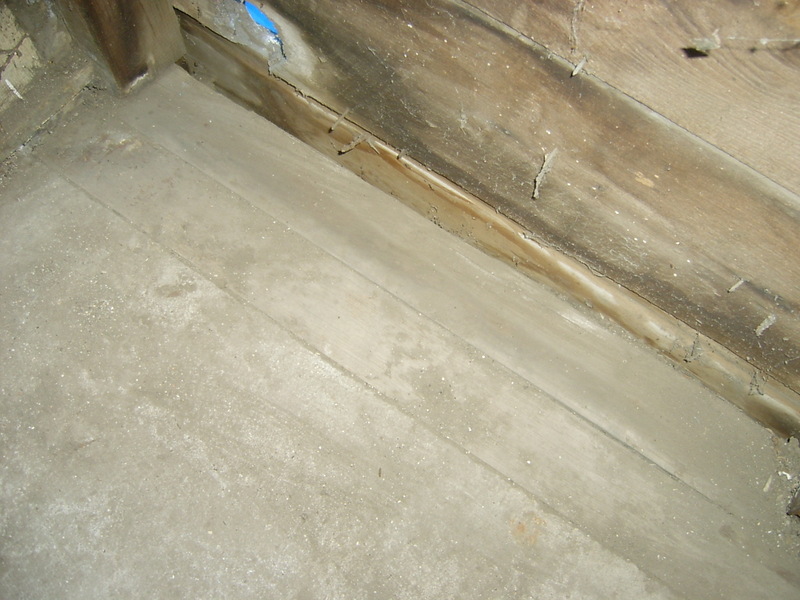 There is some old tongue & groove type flooring along the bottom of the wall. Makes me wonder if the breezeway originally had a wood floor? Inside the curved wall section. 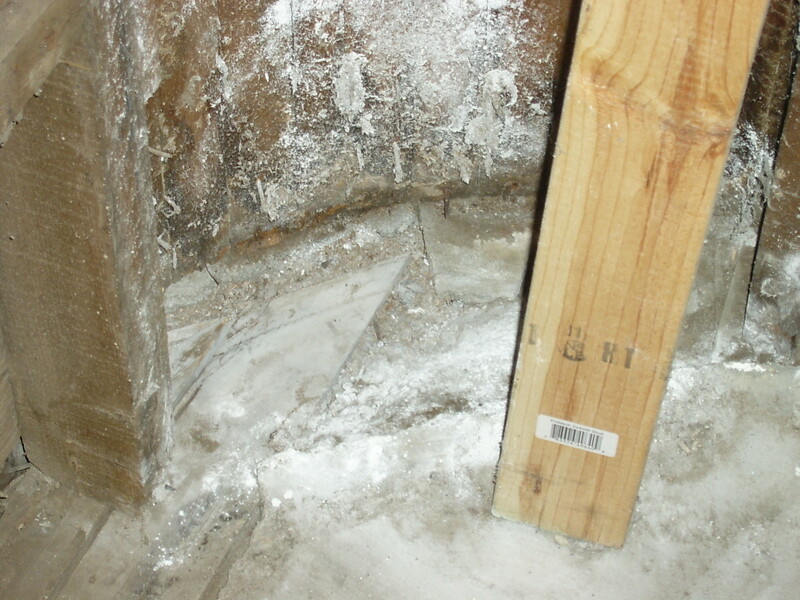 The white powder is from when we evicted a swarm of bumble bees that had a hive built in this section of the wall. 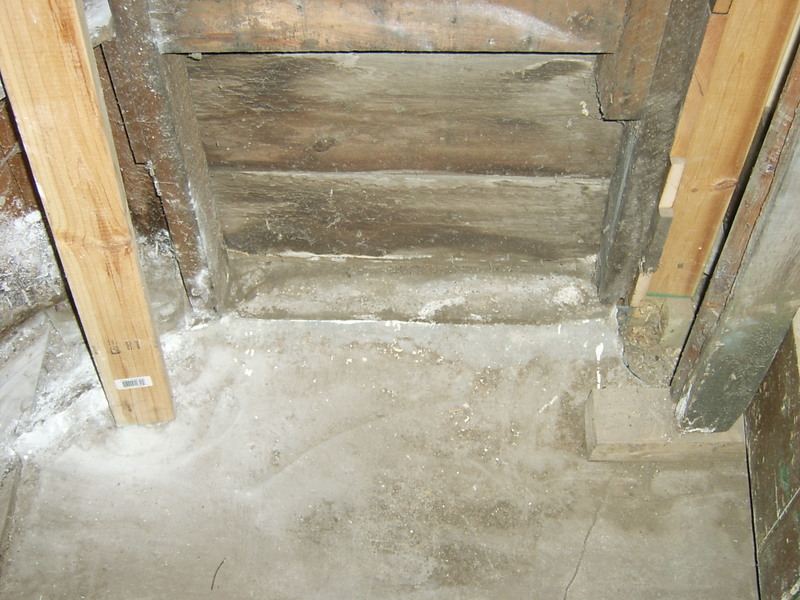 Bottom portion of the wall that connects to the section where the front door is.